"I definitely know it is not good," he said as he sat up in a bed at the Doctors Hospital Sleep Center, where he is undergoing testing. 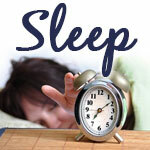 In fact, the four to five hours of sleep he gets each night could put him at a greater risk of stroke. A study being presented today at the SLEEP 2012 conference found that getting less than six hours of sleep night after night quadruples the risk of stroke for people with normal weight. Other studies in Europe, Australia and in post-menopausal women in the U.S. have found similar links between sleep deprivation and increased stroke risk. But one Augusta sleep expert cautioned against reading too much into the latest findings on risk. Researchers at the University of Alabama at Birmingham followed more than 5,600 people who had no previous stroke or stroke symptoms, and who were at low risk for sleep apnea or disrupted breathing during sleep, for an average of two years. Those at normal weight who averaged less than six hours of sleep a night had four times the risk of stroke symptoms on follow-up, the study showed. Exactly why is unclear, said lead author Dr. Megan Ruiter, a post-doctoral fellow and co-investigator in the Reasons for Geographic and Racial Differences in Stroke (REGARDS) study. "That is a very good question," she said. "Why would less sleep be such a significant risk factor for stroke symptoms, especially for people of normal weight and not for people who are overweight and obese? That is definitely a big question mark for us as well." Previous studies have found sleep deprivation heightens inflammation in the body, disrupting blood pressure and increasing levels of stress hormones like cortisol, and metabolic hormones like ghrelin and leptin that can affect appetite, Ruiter said. "It can compromise the integrity of your cardiovascular system," she said. "When that happens, you're basically increasing your risk for atherosclerosis and stroke." Sleep deprivation could be the first step people take toward stroke, Ruiter said. "If you have insufficient sleep early, that might be one of your first risk factors that might lead to other risk factors in this sort chain of events toward the stroke," she said. The work in the U.S. mirrors work from Europe published earlier this year. The European Prospective Investigation into Cancer and Nutrition-Potsdam, the Potsdam arm of a much larger study spread across Europe, followed more than 23,000 people an average of nearly eight years. Getting less than six hours of sleep in that study more than doubled the risk for stroke even when other risk factors were taken into account. A study of 218,155 Australians published in December found that six hours of sleep put people at a 25 percent greater risk of stroke. In 2008, The Women's Health Initiative study in the U.S. found after following 93,175 older women that lack of sleep in post-menopausal women conferred a 22 percent higher risk of stroke when cardiovascular disease and diabetes were taken into account. Even with mounting evidence, sleep is not getting the attention it deserves, Ruiter said. "I think that the realization that this is an important factor is growing, but it is not nearly where it should be in terms of awareness among policymakers and the public and of course the physicians who treat us," she said. "I think it is on the rise, but I feel that sleep is just as important as diet and exercise when it comes to modifiable lifestyle factors." While the latest findings sound alarming, one shouldn't panic over getting less than six hours of sleep a night, particularly if it is a temporary situation and the sleep can be made up at other times during the day or over the weekend, said Dr. Carmel Joseph, medical director of the Doctors sleep center. Still, he said, it's best to get more than six hours.